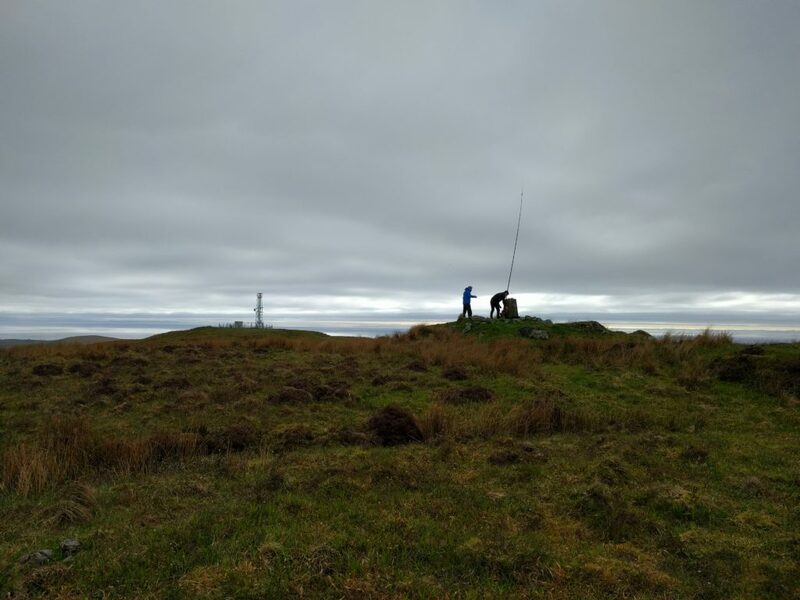 During this week’s Camb-Hams DXpedition to Islay as GS3PYE/P, three of us (G4ERO, GW2HFR and I) went to Beinn Tart a’Mhill, one of Islay’s one-point SOTAs (GM/SI-185). This is quite possibly also the easiest summit on the island, as it’s an ex-MOD transmitter site, with a nice path all the way to the top. Access is therefore quite easy. We parked at Kelsay farm (NGR NR 189 562, where there’s just space to pull a car in off the road, opposite the farm gates) then took the path into the farm as far as the ‘Private’ sign. 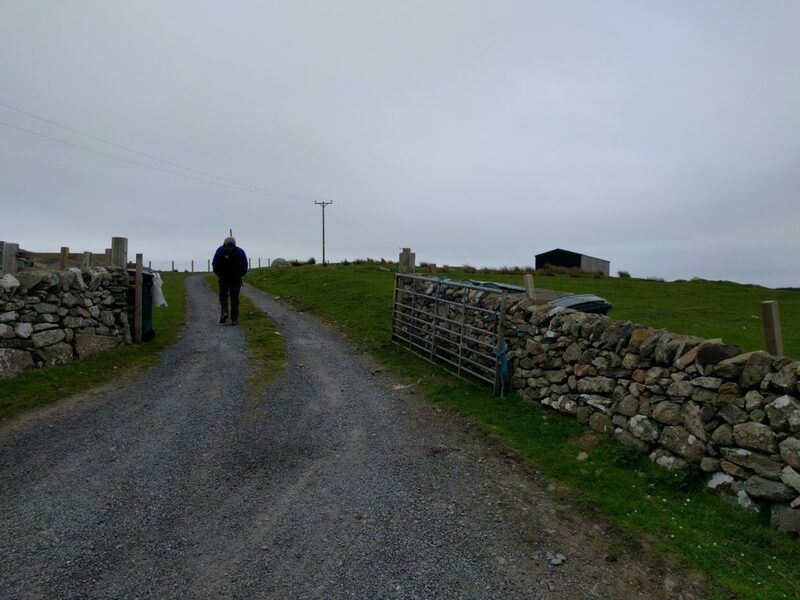 From there, you can go over some slightly boggy grass to an adjacent path, which takes you to the transmitter site, past an old oil storage tank, presumably for the transmitter generator. The path gradually deteriorates from gravel to grass but there’s no navigation challenge. 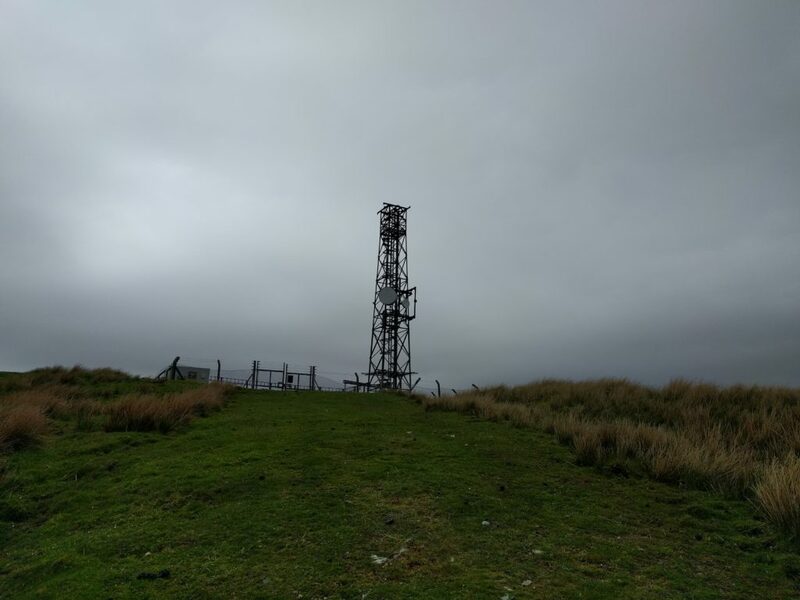 Once at the transmitter site, the trig point is just behind you on the slightly higher ‘other’ summit. It’s a five minute walk over the slightly boggy grass to reach this secondary summit. Once there, there’s plenty of space for antennas. While G4ERO and GW2HFR concentrated on a slightly unsuccessful attempt on 80m, followed by a more profitable go on 20m, I set up on 30m CW and quickly managed 3 QSOs, and then something happened. Calling for the next 30 minutes, I couldn’t raise anyone for my fourth QSO, and there was nothing on 2m either, even though Northern Ireland was on the horizon. I swapped to 40m, still into the 30m dipole, and managed an SSB QSO there to complete the required four. The path to the transmitter is about 3.5km each way, with a 200m ascent. It took about 40 minutes to climb, and about 35 minutes back down.